Leftover with Sundal after Navarathri or any festival? 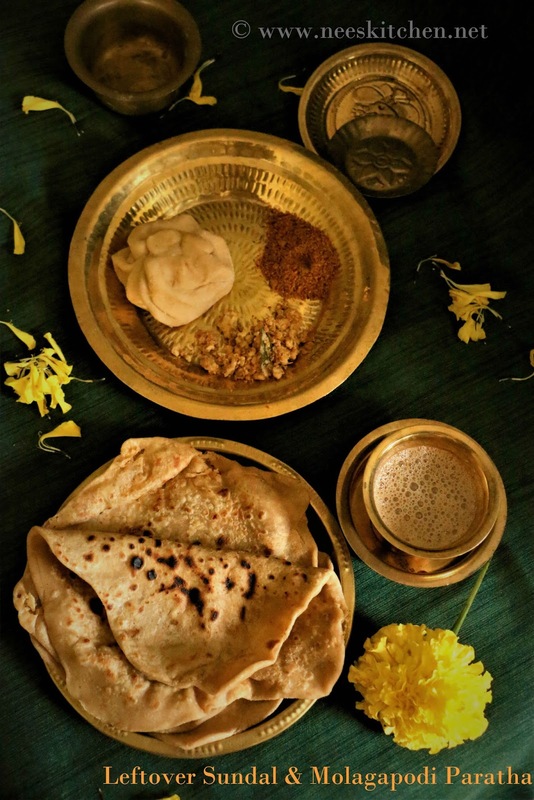 Try this "Leftover Sundal and Molagapodi Paratha. 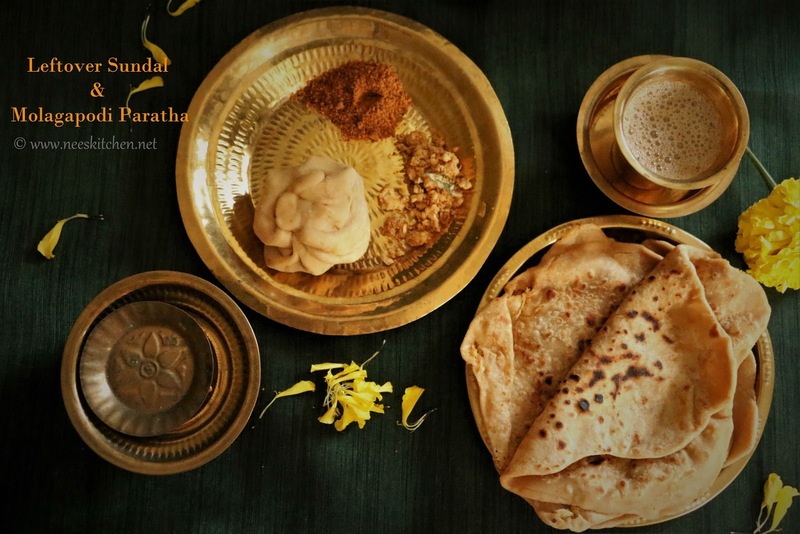 This recipe is a miraculous transformation of leftover sundal and molagapodi into addictively delicious paratha loved by all age groups. Refer to my Molagapodi recipe for Molagapodi preparation. 1. 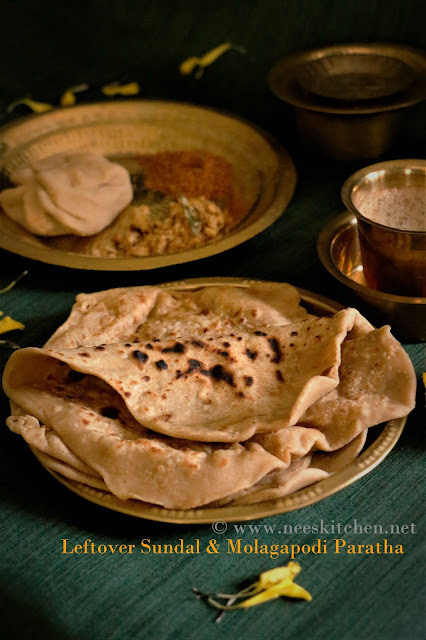 To begin making the ‘Leftover Sundal & Molagapodi Paratha’ prepare the chapathi dough. Combine wheat flour with salt and slowly add water to form a soft yet slightly firm dough. Knead well. Cover with damp cloth and let it rest for 20 minutes. 3. Divide the sundal mix & chapathi dough into 4 large size lemon balls. 5. Heat a iron tawa and once its hot, add 1/2 tsp ghee or Oil. 6. Place a paratha and let it cook for 20 seconds. Flip the paratha and let it cook for a few 20 secs. Keep repeating until light brown spots appear and golden shade on both sides. Use a spatula to press the areas which are puffed as the paratha gets roasted evenly. 1. Any non-sweet variety sundal can be used.